Whether you just got a new job or whether your company just assigned a new boss for you, it might seem hard to deal with it. But deal with it you must. Learn to develop poise and to manage your boss. Firstly, recognize two things: 1. Fear is common. 2. Throughout your career and personal life, you will face adversity. Getting a new boss does not constitute a problem. Facing fear actually makes you stronger. It’s an opportunity for growth. If you have apprehension, you need to understand why. In such situations, the most-common questions to consider: Do you fear change? Do you have authority-figure issues? The solution to such personal and professional issues is to conduct a personal assessment. On a sheet of paper, create two columns – your strengths and weaknesses. Analyze your attitude and behavior in similar situations whether you had friction, were laid off or fired. For negative situations, here’s a hint: You’ll learn fear was a factor – a frantic effort to avoid responsibility – to yourself. Understand your role, but don’t focus on the other person’s. Don’t give away your personal power by focusing on the possible motives or behavior of others – even if you feel you were dealing with the reincarnation of Attila the Hun. At the bottom of the sheet, develop a strategic game plan – strategize how and why you’ll be successful. You might also develop a list of positive affirmations, such as: “I’m a great employee,” and “I welcome this new boss as an opportunity for growth.” Keep this list handy. Recite these affirmations in front of a mirror. With enough practice and by facing fearful situations, you’ll get stronger and someday will feel compelled to share these tips with someone who will benefit. Getting a new boss does not constitute a problem. Facing fear actually makes you stronger. Then, implement your strategic plan. Research your new boss. Learn all you can. If you have questions for your boss, create a written list. Include questions about possible likes and dislikes about preferred employee performance. Don’t procrastinate. When you’re ready, ask your boss for a time to chat. Once you’re working with your new boss, there will be opportunities to contribute to the welfare of the team. The team is only as strong as its weakest member. Don’t be afraid to speak up to solve problems. But it’s important to remember this concept: It’s not what you say, but it’s how you say it. Even unpopular viewpoints can serve as catalysts for your professional and organization success — if you’re polished and careful in how you approach a subject with a boss. Instead, ask a non-threatening question, such as: “Is it possible that the problem is…?” In this way, you’ll help open the door to a team discussion. Oh, and by the way, by doing this you’re on your way to becoming a leader among your peers. Then, you’ll be ready for to ask your boss for a pay raise. And if you want, you might become management material, too. So, the place to jumpstart your career development: It’s all about poise in managing your boss. 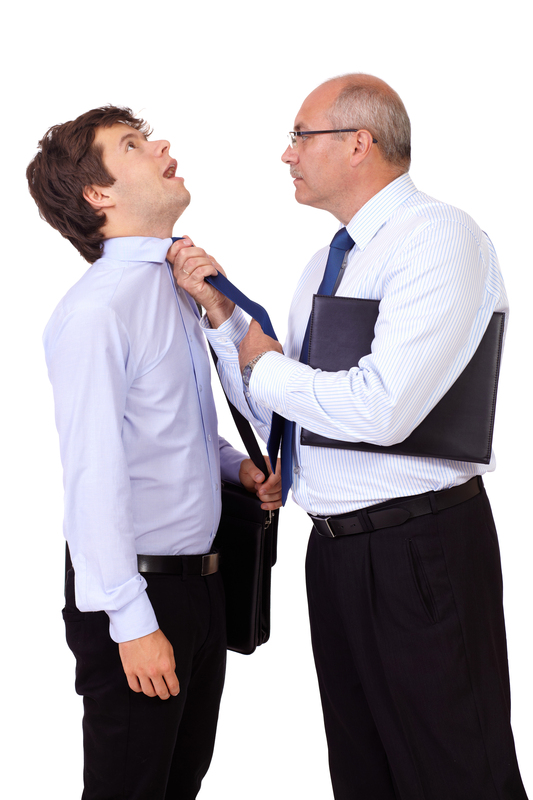 Do You Have A Toxic Relationship With Your Boss? — This may be the 21st century with a cornucopia of management textbooks for bosses, but a significant number of employees still complain about their supervisors lacking in professionalism. That’s according to a study by Wayne Hochwarter, a professor in management at Florida State University. How To Deal With An Oppressive Employer — In the private and public sectors, organizational performance is strong when employees are managed properly. Employees perform well and they are confident in their employers. So it was disturbing when someone asked me what to do about an abusive boss. Top 11 Tips for a Great Elevator Pitch — Surprise! If you play it smart, you can take advantage of the 500-million Twitter account-holders to get a new job or career. Sure, it’s a daunting task, but the potential for success is terrific. You can tweet to link up with the right people — just as well, if not better, than LinkedIn. But that’s not to say that you shouldn’t use LinkedIn and other social media. You have to make an investment in your time and energy – some research and careful thought.